A coroner has criticised detectives investigating the murder of a Doncaster boxer after they failed to let her know if she could release his body for his funeral. Doncaster Senior Coroner Nicola Mundy said it was ‘not good enough’ that South Yorkshire Police had not replied to her office’s request as to whether she could release the body of Tom Bell. Tom Bell. Picture: Steel Stream Design. She opened an inquest at Doncaster Coroner’s Court but heard that her office had not received any response from the force, possibly delaying his family’s funeral plans. 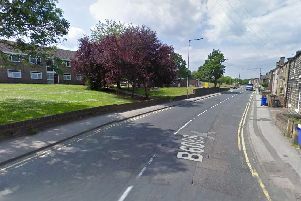 Coroner's officer Ronald Sneddon said: “In respect of the release of this man’s body, I have had communication with South Yorkshire Police asking them to make you aware of their overall view. Ms Mundy said: “In terms of releasing Mr Bell to his family for the purposes of his funeral, I need a response. "It's not good enough to ignore communication of that nature." The coroner heard that emergency services attended reports of a ‘firearms incident’ at the Maple Tree pub in Balby on January 17. Tom, of Intake, Doncaster, was given first aid at the scene and taken to the Northern General Hospital in Sheffield where he died. A post-mortem examination found he died of shotgun wounds to the chest and abdomen. Tom was identified by his mum Tracy Langley and dad Charles Bell. Ms Mundy said no-one had been charged in relation to Tom’s murder. She adjourned the inquest pending further enquiries. Two men, aged 28 and 29, who were arrested on suspicion of his murder, remained in police custody this afternoon. A 21-year-old woman arrested on suspicion of assisting an offender was released under investigation over the weekend. A sea of floral tributes have been left outside the pub, which remains closed with metal fencing around some parts of it. Anyone with information should call South Yorkshire Police on 101 and quote incident 796 of 17 January or Crimestoppers, anonymously, on 0800 555111. The Star has contacted South Yorkshire Police for a comment and is awaiting a response.